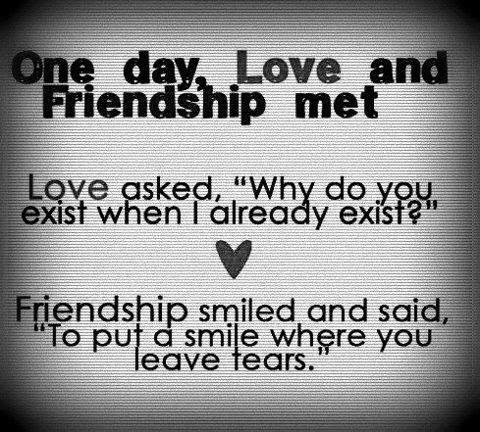 There are quotes as beautiful as this: "One day Love and Friendship met. Love asked, "Why do you exist when I already exist?" 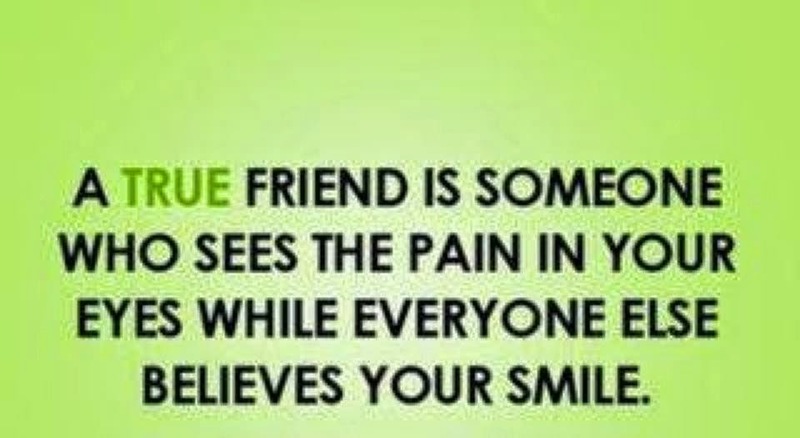 Friendship smiled and said, "To put a smile where you leave tears", don't lose the opportunity to surprise a good friend with a quote like this. 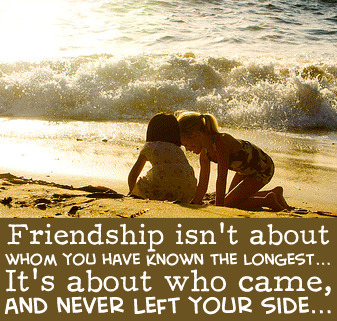 Below you are going to find a selections of friendship quotes that could be really useful to greet or surprise a friend, choose the one you like more and do it. Friends are the flowers in the garden of life. 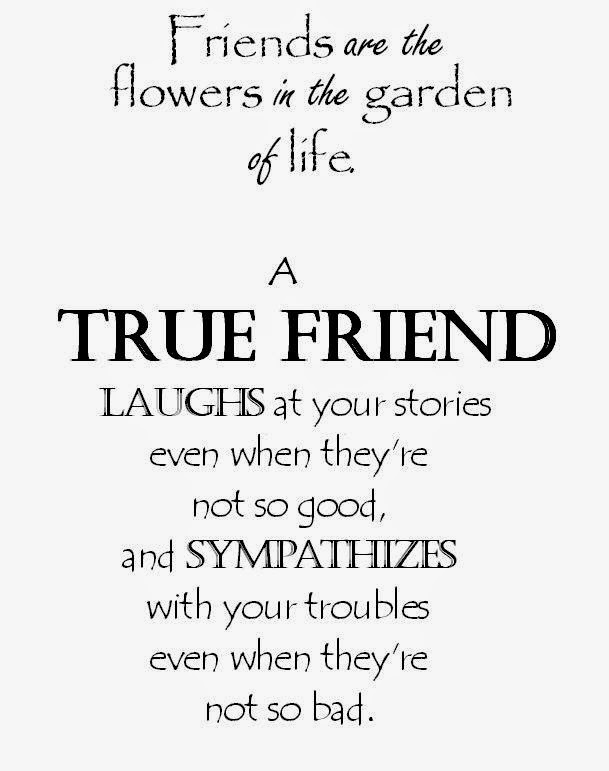 A True Friend laughs at your stories even when they're not so good, and sympathizes with your troubles even when they're not so bad. 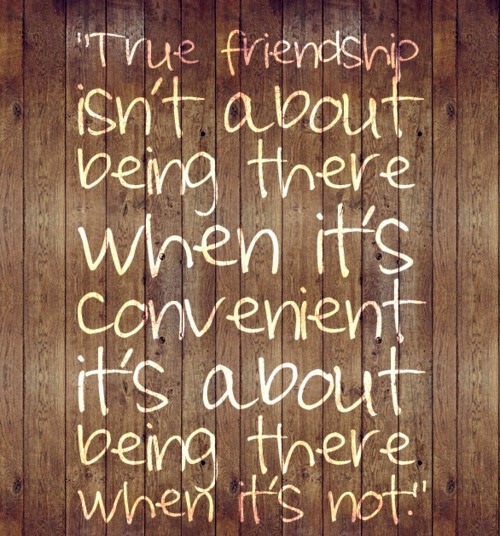 True friendship isn't about being there when it's convenient it's about being there when it's not. 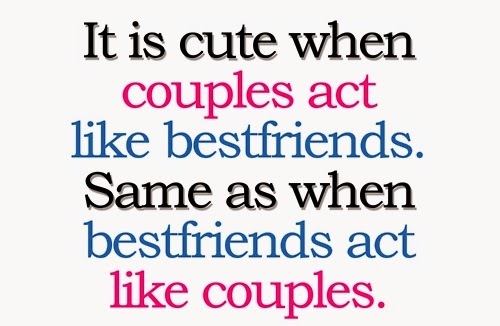 It is cute when couples act alike bestfriends. Same as when bestfriends act like couples. 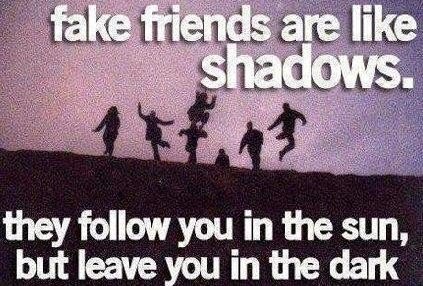 Fake friends are like shadows. They follow you in the sun, but leave you in the dark. 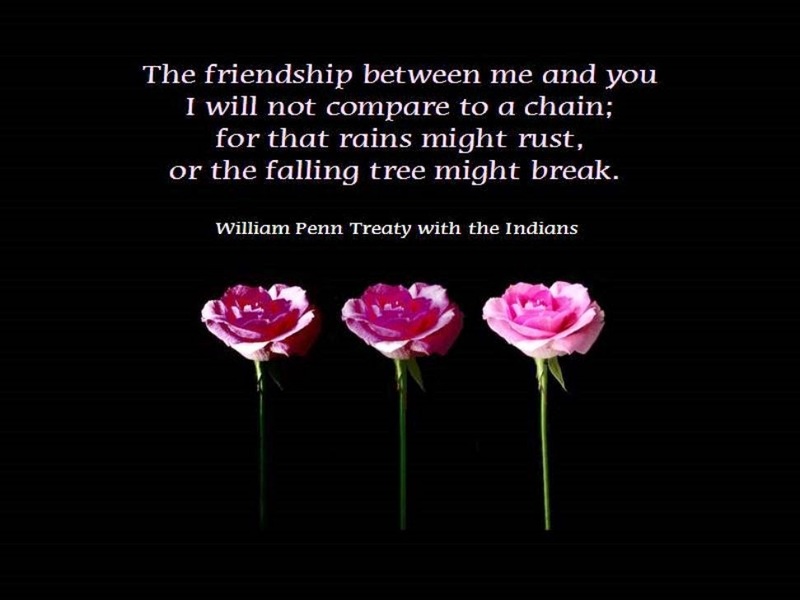 The friendship between me and you I will not compare to a chain; for that rains might rust, or the falling tree might break. One day Love and Friendship met. Love asked, "Why do you exist when I already exist?" Friendship smiled and said, "To put a smile where you leave tears." Friends are the most important part of your life. 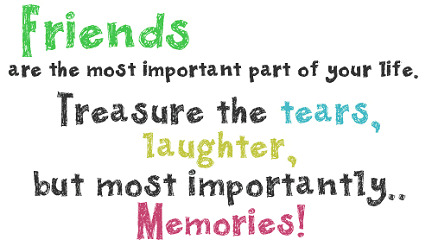 Treasure the tears, laughter, but most importantly... Memories! 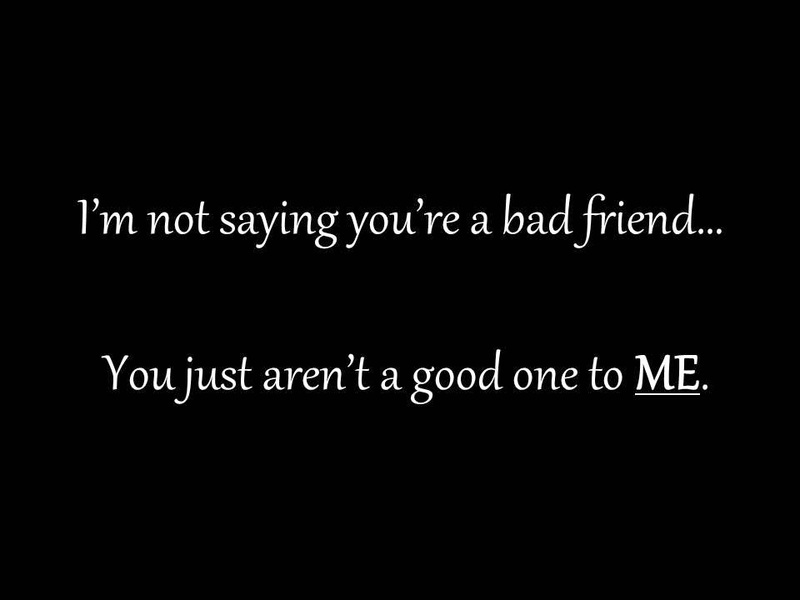 I'm not saying you're a bad friend... You just aren't a good one to ME. Best Friends. 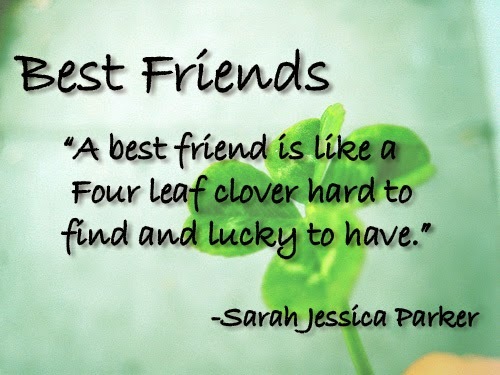 "A best fiend is like a four leaf clover hard to find and lucky to have."